Sunshine Studios the international dance, arts and entertainemnt company with studios, courses and talent agencies worldwide. Since opening it’s first branch in Manchester, UK in 2006 founded by Jerry Tse, it has gone on to expand into Norway, USA, Thailand and China. As well as innovating new dance and arts related courses, Sunshine Studios has set the gold standard for training with many of it students going on to work on movies, TV shows, concerts and famous theatre shows. These have included supporting international artists such as Lady Gaga, Kanye West, Katy Perry, Janet Jackson, and TV shows such as ‘The Voice’, MTV Music Awards and X Factor to name a few. The teachers and choreographers we bring to work with our students are some of the worlds best and you will see them choreographing, dancing and artistic directing for artists such as Justin Bieber, Mariah Carey, Justin Timberlake, Ariana Grande, Beyonce and movies such as Step Up franchises. 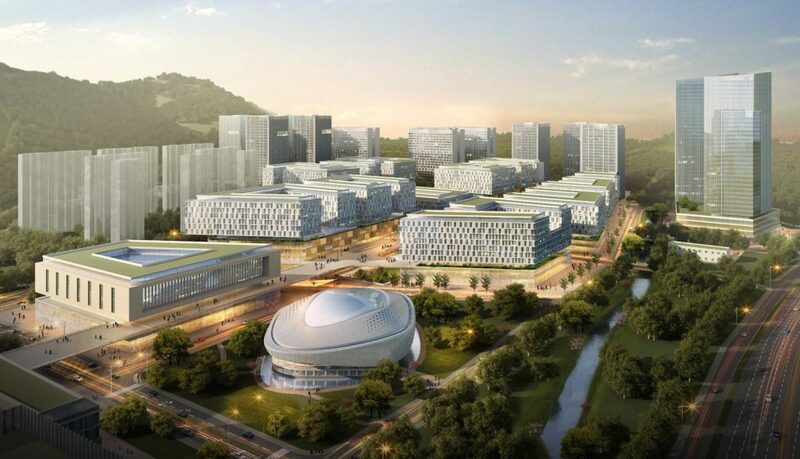 The latest and most exciting Sunshine Studios projects to date includes a 700,000 square feet, cultural hub in Tianjin, China, and a 1,200,000 square feet cultural hub in Shenzhen, China. The Tianjin project will be working with the Chinese Government and Poly Group in creating a world class arts and entertainments industries training and movie/TV show production complex. The complex will be an outlet for Hollywood and local Chinese movie productions and train thousands of Chinas future artist, directors, musicians, camera people, stylists, hair dressers, producers etc each year with the support of the top teachers and international academies from US and Europe to help elevate the talent for Chinas future entertainment industry. Such is it’s attraction many of the entertainment industries in other countries have already been asking to send their future artists to train within our complex. Companies such as Cameron Pace group and Jim Henson have already set up offices in the complex. Sunshine Studios Shenzhen will be similar to Tianjin but working with Shenzhen Heng Ming Zhu Investment Group Co. Ltd, in producing one of the worlds largest arts, entertainment, and media education hubs which will be large enough to cater for over 200,000 people at any one time and once again providing world class training from many of the worlds most famous and highest standard academies in the arts and media field. Clients include: BBC, ITV, Channel 4, Sky, Walt Disney, China Government, P&O Cruises, Lady Gaga, Britains Got Talent, and many many more.